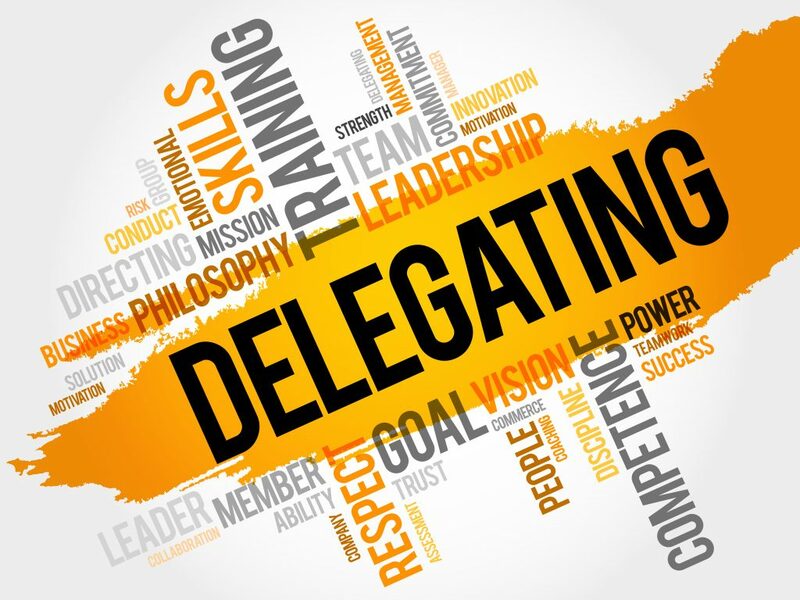 Learning how to delegate effectively is one of the first tasks for any new manager. While delegation is an important leadership skill, the psychology of delegation is challenging for many people. Here are some of the most common reasons for delegation failures and suggested solutions. You prefer the individual contributor role. When a new manager first begins to delegate, they may realize that they are now giving away their favorite part of their job. Not everyone finds management to be fulfilling. This disconnect happens frequently in creative and technical professions where the individual contributor role focuses more directly on doing the work for clients or creating the products to be sold. Once you are past the initial discomfort that is common after a change of role, if you still find that your job satisfaction is greatly reduced by the career move into management, re-evaluate if management is the best fit for you or if you would prefer to return to an individual contributor role. You don’t yet have experience trusting anyone to be reliable. Before you try to delegate tasks that are mission-critical to the success of your job, ask yourself whether you have ever had any life experience where you trusted someone with something important and they came through for you. If this hasn’t yet happened for you, it is going to be very difficult to give up control in a work setting. If you’re a perfectionist (think Type 1 on the Enneagram), delegation is likely going to be painful for you because you have very clear ideas about how everything should be done and it can spark anxiety for you to see things completed in a different way. It will take time and practice to accept that there are multiple ways for tasks to be completed that are “good enough.” As long as your boss, the leadership of your employer, customers/clients and investors are happy with any deliverables completed by your team, that’s a success. You haven’t yet accepted that you cannot do it all. Finally, if you are still harboring illusions that you alone can accomplish all the work because it feels easier and faster to do it all yourself, it makes sense that you wouldn’t want to endure the pain of learning how to delegate. Many people feel this way until they finally reach such a point of exhaustion and burnout, they are forced to change. Once psychological barriers to delegation are worked through, it becomes easier to follow the steps of effective delegation. – Be very clear about the tasks you are delegating, the timeframe to do them, and how you will evaluate whether the task is successfully completed. – Don’t wait until the final deadline to check in with the person doing the task. Set up milestones where you can assess whether the project is being done correctly and you can help to fix anything that is potentially derailing. – Use a checklist. Here’s one example of a checklist for delegation tasks.